Welcome to Stannards Guest Lodge **** ! 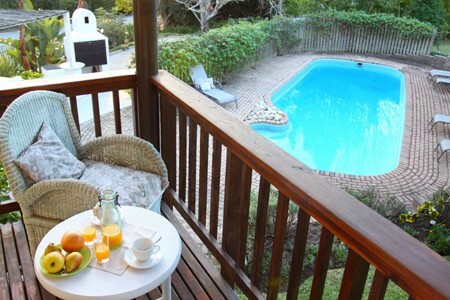 The Stannards is a lovely guesthouse ideally located in Knysna, South Africa. The owners are Patrick and Hélène-Marie Ceillier, a French couple who travelled around the world before settelling in Knysna. The six en-suite bedrooms, creatively and tastefully decorated, have their own private entrance and patio overlooking the landscaped garden. 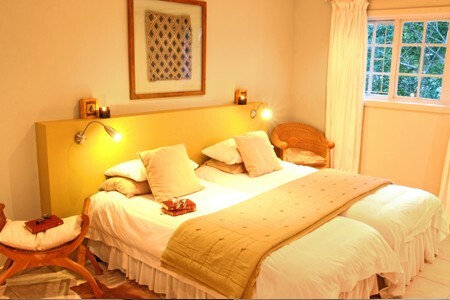 Room facilities include DSTV, fan, heater, tea tray and wi-fi. The six en-suite bedrooms include one Superior Room, one Family Suite and four Standard Rooms, all of them in a great comfort and lovely decoration. 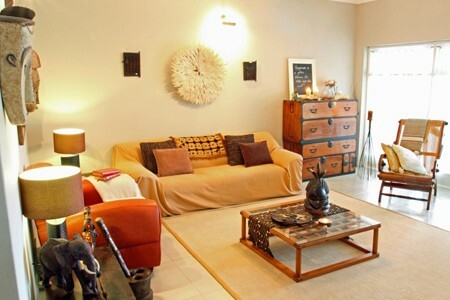 The two luxury self-catering garden cottages both include a spacious lounge with a fireplace, a fully equipped kitchen, flat screen LCD TV, I-pod docking station and safe. 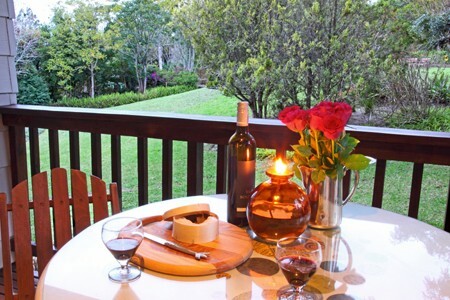 Tasty and generous buffet-breakfasts can be enjoyed indoors or on the deck overlooking the lush, indigenous garden with a salt water swimming pool and barbeque area. The vast expanse of lawn and number of beautiful trees are home to more than 80 species of birds. The 'Afro-chic' lounge, with its cozy fireplace is welcoming on those chilly winter days and the 'African curio' shop has stunning gifts for you to take home. Stannards is the perfect base from which to explore all the treasures the famous Garden Route has to offer. Information regarding local restaurants and activities is available and bookings made on request. 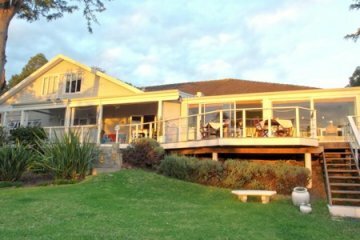 French owners and managers, Hélène-Marie and Patrick Ceillier, fluent in English, offer every conceivable comfort and convenience and their warm hospitality and personalized service will ensure that your stay in Knysna is one to remember. A place where guests become friends and return.